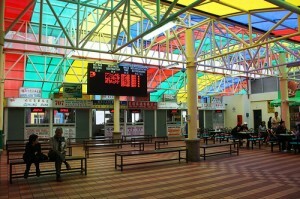 First World Bus Terminal is the only bus terminal located in Genting Highland. The terminal is conveniently located at the First World Hotel, where the commuters can directly access to the casino, theme park and hotel easily. Some people may have the information that all buses going to Genting Highland would stop at Genting Skyway station and then transfer to take cable to go Genting Highland. 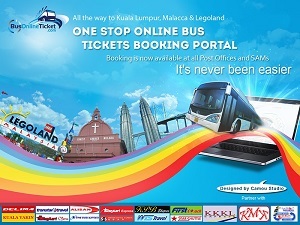 This is correct for Go Genting Express bus departing from Pudu Sentral, KL Sentral, Terminal Putra, One Utama and Kajang. If you take Go Genting Express bus from above-mentioned terminals, you would alight at Genting Skyway Station and then take the cable car (Skyway) to Genting Highland. However, for other express bus like WTS, Transtar, Starmart, and 707, the buses would go directly to First World Bus Terminal, which is conveniently located at First World Hotel.